Handy double ended grinding stick for getting in to those hard to reach places! A high-temperature lubricant provides inherent shear stability, the lubricant remains in place during the grinding operation for the most efficient grinding together with inherent corrosion protection and sealing properties. A Specifically and critically manufactured silicon carbide and lithium grease based grinding compound in a larger 2.5 Kg plastic bucket for industrial use. This can also be supplied in 5 kg units on special order. A range of high performance, water based Lapping Pastes, incorporating a unique gel system that enhances the sharpening characteristics of silicon carbide grit. Seasure are now stockists of Chemico Grinding Paste 300gm units at their Trade Counter, Unit 12 Matrix Park, Talbot Road, Segensworth, Fareham, PO15 5RY, tel 01489 885401. Seasure are manufacturers of "Blakes" sea toilets and seacocks, "Taylors" cookers and heaters and "Lavac" toilets products. 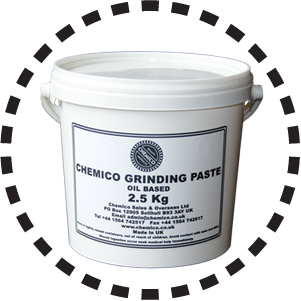 Grinding Paste Grease based Grinding Compound. A Specifically and critically manufactured silicon carbide and lithium grease based grinding compound. Chemico Grinding Stick Vital Accessory. 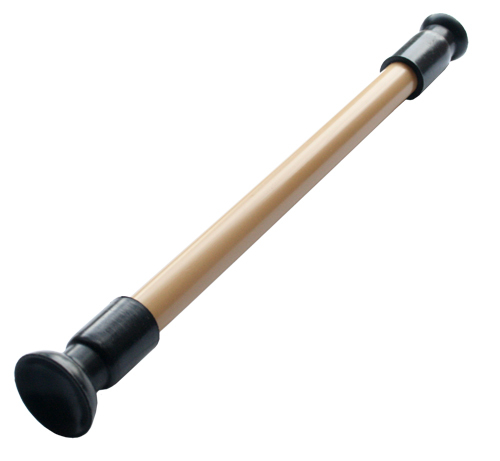 Wooden Shaft double ended grinding stick and lapping tool, suitable for grinding-in most engine valves. 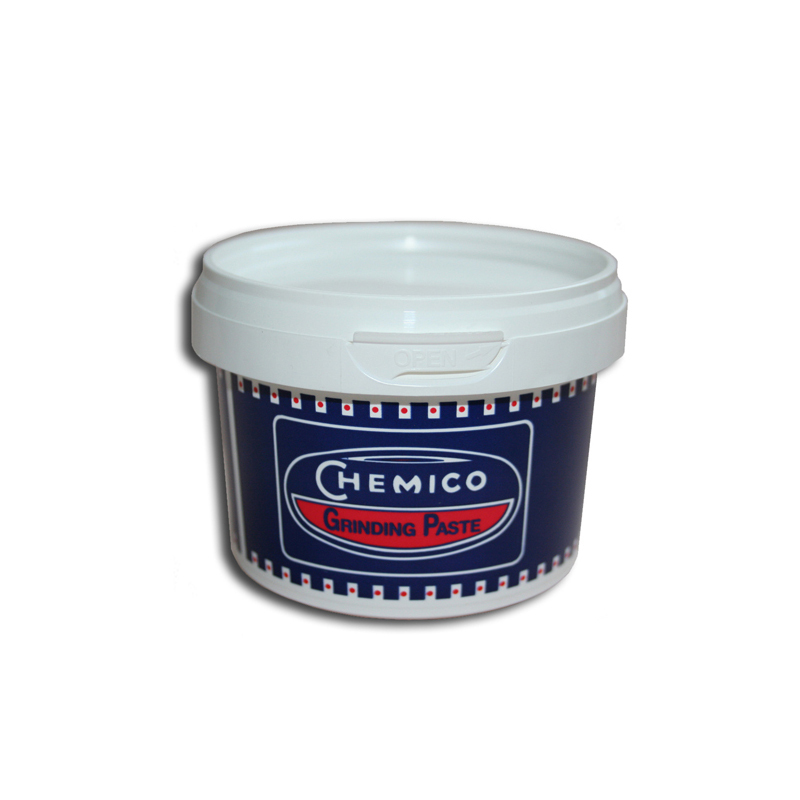 Chemico Jointing Cement High Performance Sealant. 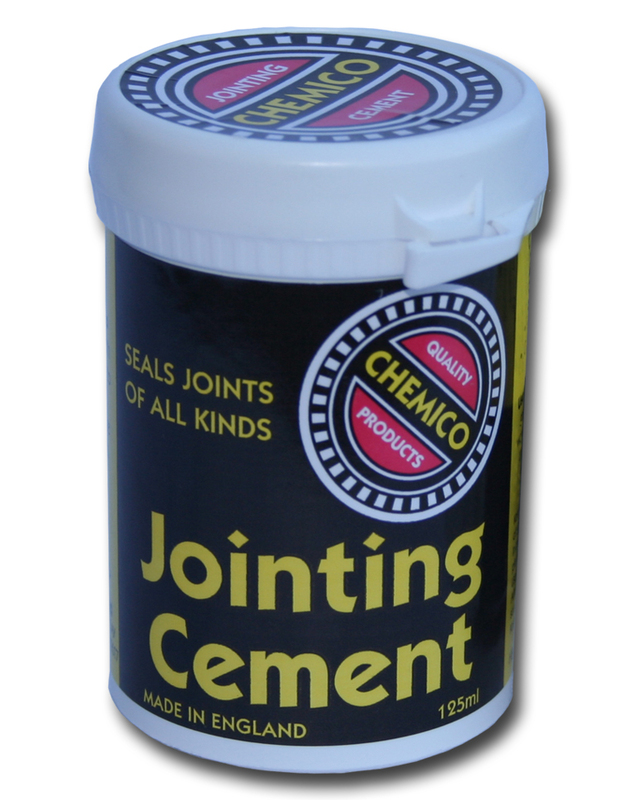 A jointing compound that is a universal sealant with or without a gasket or washer. Prevents leakage of petrol, diesel, oils, steam, coolants, water, paraffin, LPGs, gases and hydraulic fluids in all types of joints.